What is the difference between a Ropes Course and a Challenge Course? Do I have to be athletic to participate? Will I be forced to do the activities? A Ropes Course is a challenging outdoor personal development and team building activity which usually consists of high and/or low elements. Low Challenge Elements take place on the ground or only a few feet above the ground. High Ropes Elements are usually constructed in trees or made of utility poles and require a belay for safety. A Ropes Course provides participants with a unique opportunity to work and play together on a series of problem solving, group decision making, and positive risk taking activities. The length of your day and your specific goals will determine what activities we do. For more information on our Ropes Course programs, please visit our High Ropes Course or Low Challenge Course pages. If you are interested in building a Ropes Course on your property, please explore our High Ropes Construction and Low Ropes Construction pages. Physically, a Ropes Course is the same as a Challenge Course and in many cases the terms are used interchangeably. A Low Ropes Course is the same as a Low Challenge Course and a High Ropes Course is the same as a High Challenge Course. In many cases, we use the term Challenge Course to refer to what we do because of a difference in facilitation style. When we run programs, we seek to frame experiences in such a way as to provide significant lasting value to participants. Thus any participant should feel that they have been challenged and appreciate the many benefits that the challenge provided. You can find more information on our Team Building philosophy on our Youth Team Building and Corporate Team Building pages. 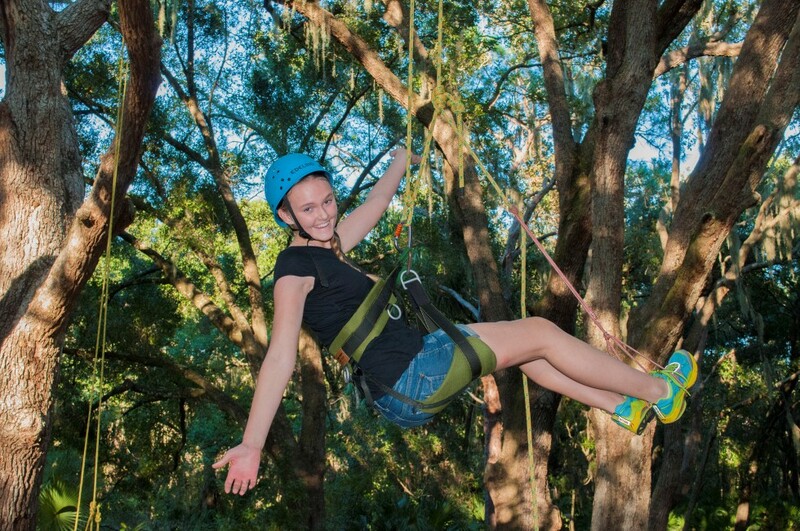 Recreational Tree Climbing is a very safe and exciting way to enter and explore the tree canopy. Using arborist ropes and comfortable harnesses your adventure begins with a brief training and then you ascend into the tree. Once in the canopy you discover the possibilities. You climb as high as you wish, walk on limbs, sit in a sky chair, relax in a hammock or just enjoy the experience of hanging out in the canopy. Check out our Recreational Tree Climbing page for more information on this exciting new sport. Athleticism is not a prerequisite. Our programs focus more on the group dynamics and self-confidence side of outdoor adventure and less on the physical challenge. However, if your group desires, we can create a physically as well as mentally demanding adventure for you. Not even close. We create a low impact program in a safe and fun environment that will provide you the opportunity to have many successes and celebrations with your peers. There will be many smiles throughout the day. We use the “challenge by choice” philosophy. Our facilitators encourage you to move beyond your perceived limitations while respecting your decision on how far to move outside your comfort zone. Cooperation and mutual support, rather than competition and physical prowess are emphasized. Although the program may be physically demanding at times, each person chooses his or her challenges. Your personal safety is always our foremost concern. We are a member of the Association for Challenge Course Technology which is dedicated to safety in the ropes course industry. All activities occur in a safe and supportive atmosphere. While there are inherent risks in any outdoor adventure activity our facilitators are continuously monitoring all participants and the environment. The course and all equipment are examined before each program and during additional regularly scheduled inspections. Your day will be spent outside. Dress according to the weather. We suggest comfortable, active wear such as shorts, t-shirts, and tennis shoes. Please, no sandals, short shorts or spaghetti straps. 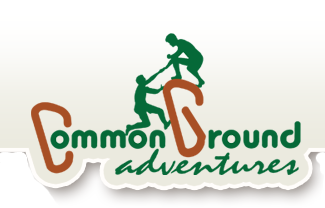 We at Common Ground Adventures look forward to offering you a memorable Team Building experience on “The Ropes.” While giving a 100% detailed explanation would diminish the experience we do understand there may be some reservations or concerns about your program. Rest assured that your program has been designed with your specific group in mind. Any question or concerns please contact us via the form on the right, email us at info@CommonGroundAdventures.org, or call us at (941) 929-3147.